A couple of weeks ago my husband was under the weather. In order to justify our Sunday Netflix binge, and enjoy some of the last sunny Autumn days October has to offer, we took a little walk down the Isar. It doesn’t take a lot of effort, we just walk out of our front door and there we are. We moseyed Southwards a bit, passing the old homies playing giant chess, and the Anti-Fa kids hanging around at the beginning of the stone steps built on the edge of the river. We found a nice spot at the base of the Wittelsbacherbrücke to sit and soak up some rays. 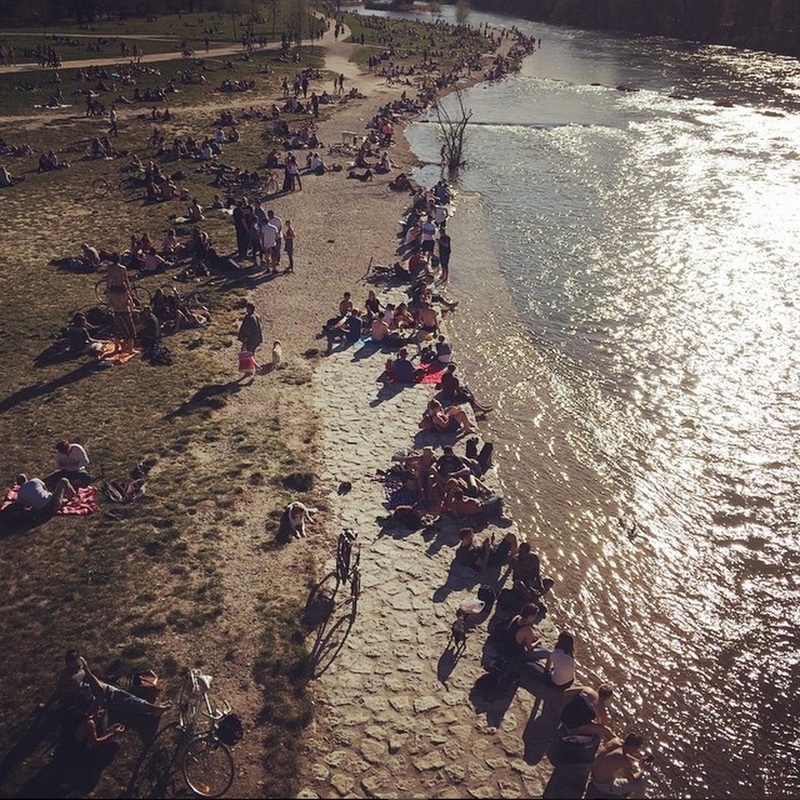 We watched dogs run around and play, a guy practicing fire dancing (without the fire – just with the stick thingys), couples in tracht sitting on the edge of the river eating take out. All of this is precious to me. Sometimes I wish we had a bigger apartment, sometimes I get annoyed when they decide to construction work anywhere around us, but I would be miserable if I couldn’t live in the middle of the city. I’m a bit of a homebody, so being able to step outside of my door and feel that I’m in the middle of everything is everything. A friend of mine, who lives with her two kids and husband near Röcklplatz once said ‘I’d rather live small in the city, than big in the country our suburbs’. I couldn’t agree more.